Post news Report RSS	Update #7 of Football Tactics released! Football Tactics - is a game about you being a coach underdog, who leads the team from the Amateur League to the most prestigious Premier League. 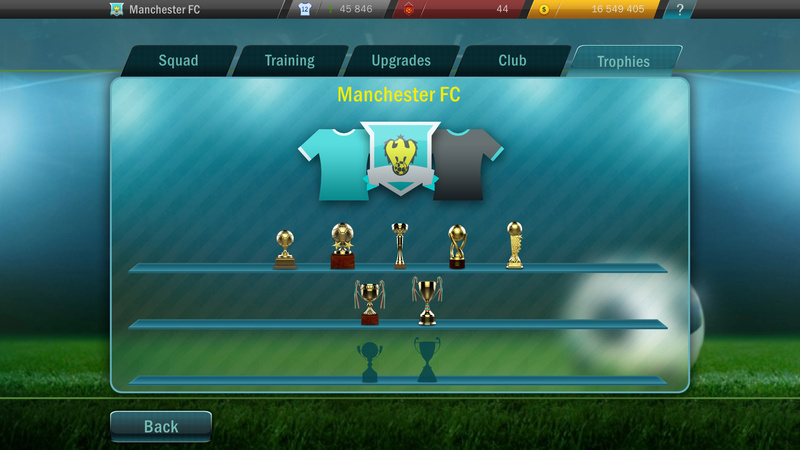 In this update, you'll be able to win even more prestigious trophies. Football Tactics - is a game about you being a coach underdog, who leads the team from the Amateur League to the most prestigious Premier League. But football fans know that the greatest achievement of any club is the recognition on the international level: the victory in the main tournament of Europe, America or Asia / Oceania. 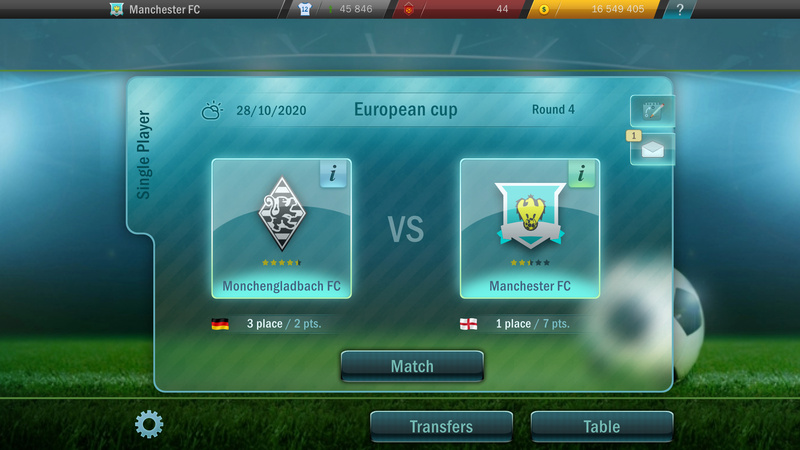 In this update, you will finally be able to win the most prestigious trophies of your continent. Two tournaments for each continent are added to the game. For Europe it is 1) European Cup and 2) Cup of European Football Association (EFA Cup). The first tournament is only for the best teams in the country, the second one is for the weaker teams. 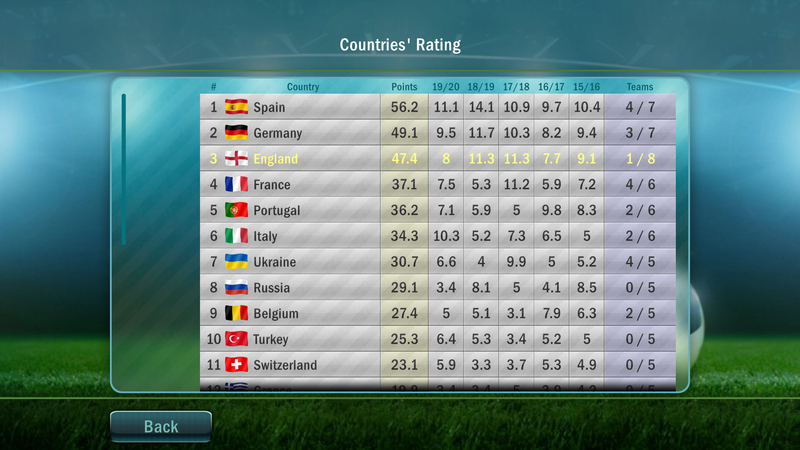 Each country has a rating, which depends on how successfully the teams from this country participate in the continental tournaments. The higher the rating of the country is, the more teams from this country can participate in the continental tournaments. For example, from a country that is in the first place, 4 teams enter the European Cup and 3 teams enter the EFA Cup. However, from the country, that is in the tenth place, only 2 teams enter the European Cup and 3 other teams enter the EFA Cup. How the rating of the countries changes? 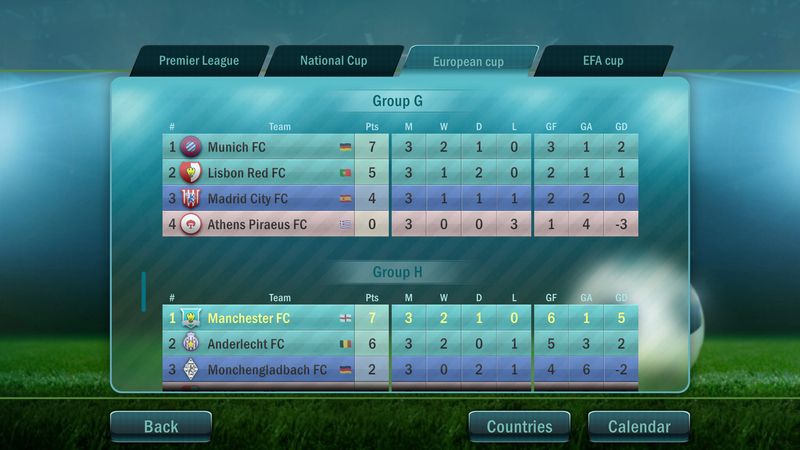 The clubs in the EFA Cup receive half the points. The points of the country for the current season - is the total sum of the points received by all the clubs of the country, divided by the number of clubs in the country, participating in both continental tournaments. For example, from the country which is in the first place, 7 teams participate in the continental tournaments. If during a season they received totally 70 points, the country received 70/7 = 10 points. Points of the country - is the amount of points received during the last 5 years. How to get to the continental tournament? We automatically color the places you should take in the Premier League to get to the continental tournament. 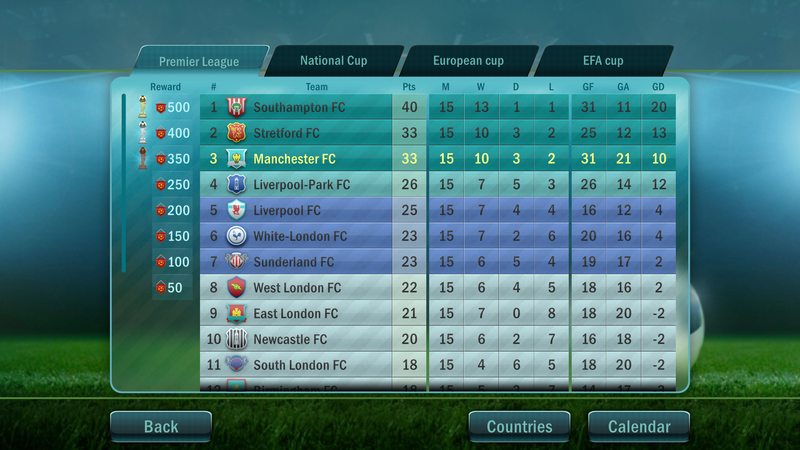 If you have not taken the needed place in the Premier League but won the National Cup, you automatically get to the group stage of the EFA Cup. Previously, it was possible to select a modified league and play in it. But what's the point if in the continental tournaments you play against the teams with abstract logos and names? We thought about it and added the ability to subscribe to the modification for all the countries simultaneously. 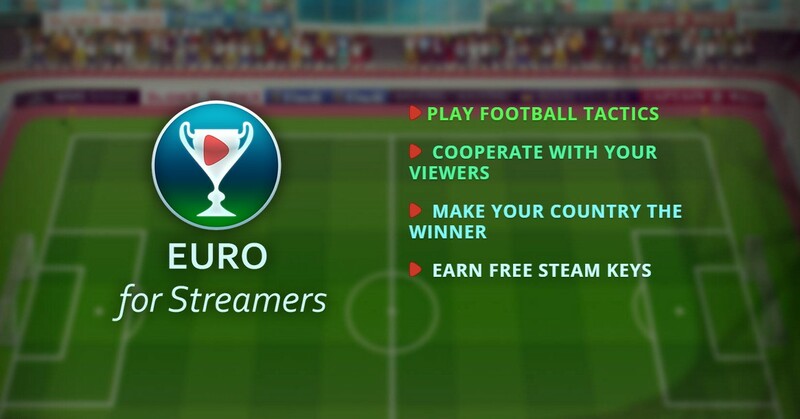 If you are a streamer - we are welcome you to participate! If you know the streamers, who would be interested in our competition - give them a link, please. The full list of changes can be found there. Thank you for your reviews, questions, suggestions, video reviews, participating in the localizations and other assistance. Together we will make Football Tactics better.